Following the success of An Extraordinary Life: The Story of a Monarch Butterfly, I thought of other animals as subjects for a similar book. Over a span of months I considered birds and many other creatures. I chose a green darner dragonfly when I learned that some of these remarkable insects migrate at least 800 miles. The artist Bob Marstall was delighted with the choice, since he had long been fascinated by the flying ability and beauty of dragonflies. 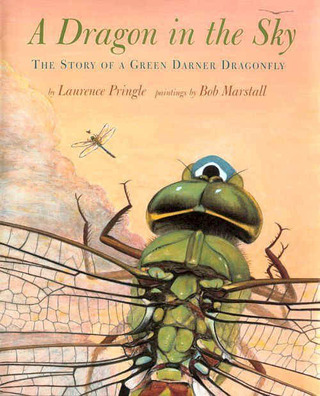 Entomologists and field biologists gave generously of their expertise, so the book is accurate nonfiction while still having a "character"--a male green darner whose adventurous life begins in a swamp in far western New York. Finding and visiting that swamp in different seasons was a treat; I had a good excuse to mess around--observing, photographing, taking notes, marveling--in a wetland that reminded me of favorite boyhood haunts.